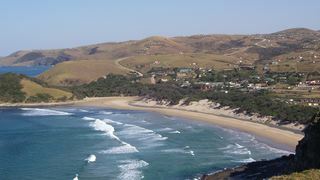 TAKE A WALK ON THE WILD SIDE The Wild Coast is a fabulous “slackpacking” destination. You can walk all day on long, lovely beaches, past turquoise lagoons and through unspoiled villages. Wonderful day-hiking opportunities include the 37-km (23-mile) walk between Bulungula and Coffee Bay—which takes you along beaches, cliff tops, and rolling hills—plus guided hikes run by many of the lodges. TAKE A DIVE ON THE WILD SIDE If you’ve cage-dived with great whites, plumbed the depths of dark and narrow caves, and dived under ice, you probably think you’ve done it all. Wrong. Diving with a “baitball”—fish herded together by dolphins for dining purposes—in the sardine run off the Wild Coast is the ultimate adrenaline dive. Sharks, Cape gannets, Bryde’s whales, and even humpbacks have all been known to join in the feast. TAKE IN THE CULTURE AND HISTORY From unsullied Xhosa villages—where women paint their faces with ocher clay and boys undergo circumcision rites of passage—to colonial mansions, the range and depth of the Eastern Cape’s cultural heritage is amazing. Since the early 19th century, the Eastern Cape has been a frontier and a focus of black resistance. In almost every town you’ll find fascinating museums and art galleries and a good tour operator who can expose you to the history and culture of this heterogeneous society. The cultural highlight of South Africa is the annual National Arts Festival, which runs for 10 action-packed days every late June and/or July in Grahamstown. 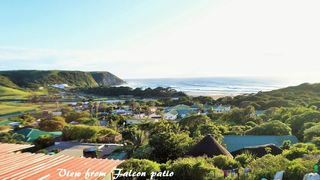 SEE THE OTHER SIDE The Transkei is a truly unadulterated vision of rural South Africa. Taking a tour will allow you to interact with locals while traversing the spectacular Wild Coast on foot, horse, bicycle, or ATV. If you’re more interested in culture than adventure, a visit to Bulungula will let you meet locals and generally interact on a far more personal level. 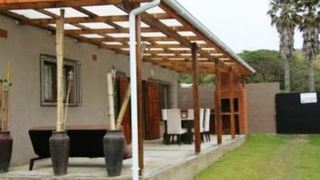 The Cottages@20 are two comfortable self-catering cottages located close to the beach in Coffee Bay. 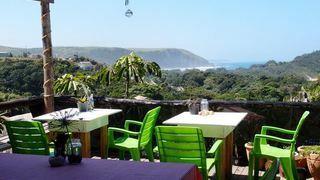 Three bedroomed self-catering rustic cottage with a magnificent sea view.